Tropical Storm Elida went from nothing to a tropical storm almost over night. It looks to be held against the coast by Tropical Storm Douglas. Prognosis is not to get much stronger but I doubt they know where it will go in the next day or two. 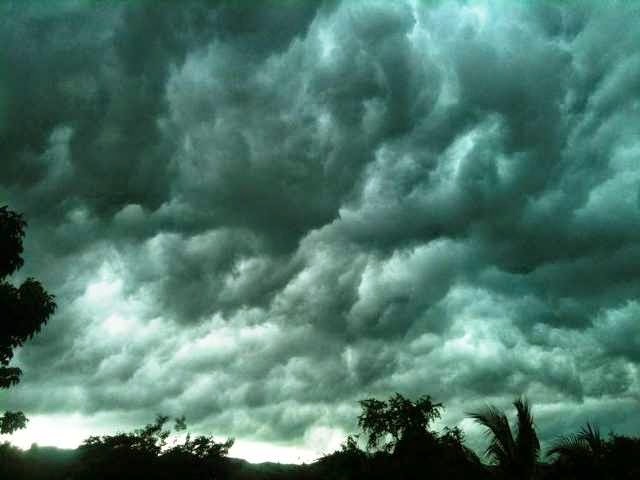 To be certain it will mean more rain for us here on the coast of Jalisco. 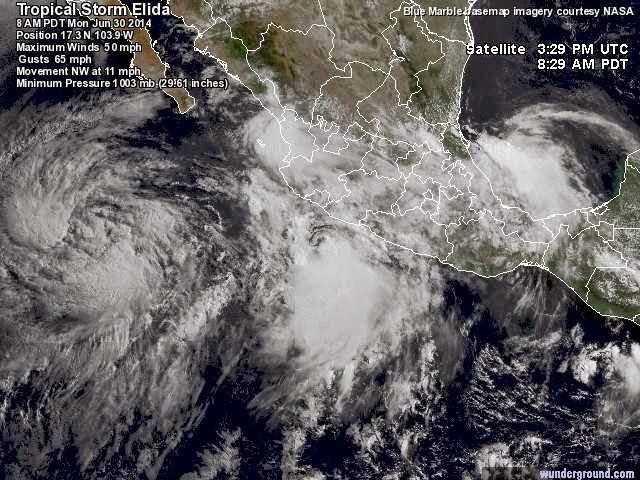 RAINFALL...ELIDA IS EXPECTED TO PRODUCE TOTAL RAIN ACCUMULATIONS OF 3 TO 6 INCHES OVER THE WESTERN PORTIONS OF THE MEXICAN STATES OF COLIMA AND MICHOACAN...AND OVER THE SOUTHWEST PORTION OF JALISCO. ISOLATED MAXIMUM AMOUNTS OF 8 INCHES ARE POSSIBLE IN THESE AREAS. These guys like to sit on the sconces inside my covered porch. It's out of the rain, wind and high enough my cat can't even think of going after them. When they first started this I was afraid they were ready to make their mud nests but no sign of it for 4-5 months. They built a nest upstairs but I got it before there were any little ones in it. I have two neighbors that have swallow families living inside their homes. One house is always open and the other is open during the day. A little startling to have one fly past your head as you walk out the door. They must be great bug catchers but mucho poop below the nest is why I don't welcome them. One was sitting on my tomato supports this morning and I stood there talking to him less than a meter away. Very cool birds. Nothing coming in from the ocean but it still has been raining a little or a lot almost every day for the last 2 weeks. This is definitely the wettest Spring I have experienced here on the Jalisco coast. It's kind of a typical tropical with usual clearing mid-day followed by clouding up and rain in the evening. Clouds usually forming over the mountains and then moving down to us. A friend of mine has a few lots in West Melaque he's been trying to sell for awhile and he did sell the one next to him this last winter to a Canadian couple. He has one more at a higher elevation that may have a nice view someday. I noticed one Real Estate sign had fallen down and the other was on it's way. I told Ron I'd put the signs up again but found the wood frame was rotten and eaten to the point of needing to be replaced. The signs belong to Monaco Real Estate but Senor Monaco has been unresponsive. I'm not sure putting up an ineffective Real Estate's company signs is the thing to do but at least they will bring attention and will include Ron's contact info as well. So I brought the 2 signs home with broken frames .... and while cutting/knocking the frame off out jumps an alacran larger than we usually get here. This guy was very fast so not totally in one piece in the foto. The scorpions I've found on this property in the past have been very small, grey in color and only during house construction. haven't seen any for over 2 years. Goalkeeper Guillermo Ochoa turned in a sparkling individual performance as Mexico held hosts Brazil to a scoreless draw in a thrilling World Cup Group A encounter Tuesday evening at the Estadio Castelao in Fortaleza. The result leaves the teams tied atop Group A with four points each heading into the third and final round of group matches, though Brazil currently sit in first place by virtue of their superior plus-two goal differential. It's here for the next month (World Cup). More or less interesting so far but not so much if you are from the US. My neighbor dropped by to make sure I was watching the US vs Ghana game. A goal in 30 seconds of the start and NO, NO, NO offense until Ghana scores a goal in the last quarter. Are these guys on Welfare or what?? The US better change it's tune next game or say goodbye. I went down to the local store to get some veggies for stir fry and the teenagers had to include me with a pass and I basically flubbed it. Nothing important and they continued. I scored better with the 3-5 year old's playing in the street. 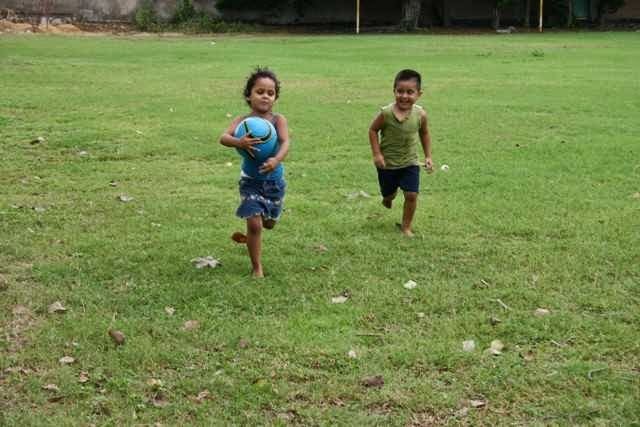 The nino with only a t-shirt was on my team against his sister and a 3 year old that just wanted to tackle. Since all the parents were just laughing I figured it was not a lesson on how to play the game .... but just another street experience. 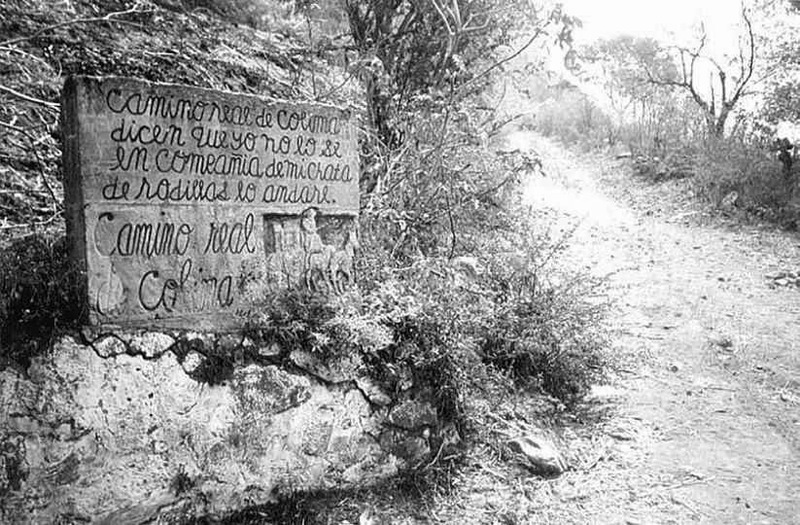 EL CAMINO REAL DE COLIMA "In 1524 the first viceroy of New Spain , Don Antonio de Mendoza ordered the construction of the historic Camino Real de Colima, which starting from the ancient Tenochtitlan, capital of the New Spain, to link to the Port of Manzanillo, through what is now the states of Michoacan, Jalisco and Colima. The monumental work was of enormous benefit to western Mexico and over the centuries contributed in its modern infrastructure today. Growing up in California and next to "El Camino" we got to know the stories of the string of missions from Baja California to north of San Francisco and the road connecting them. Yesterday Christina was destined to be a small Category 1 hurricane when over night it became a Category 4. It's pretty far from land so don't expect much but overcast. Tuesday night was a total surprise with people measuring between 3 and 6 inches of rain in the early morning. Power was out from 4-5am until 9 and again out from noon until 5pm. No school yesterday so I haven't been in Melaque to check water damage. 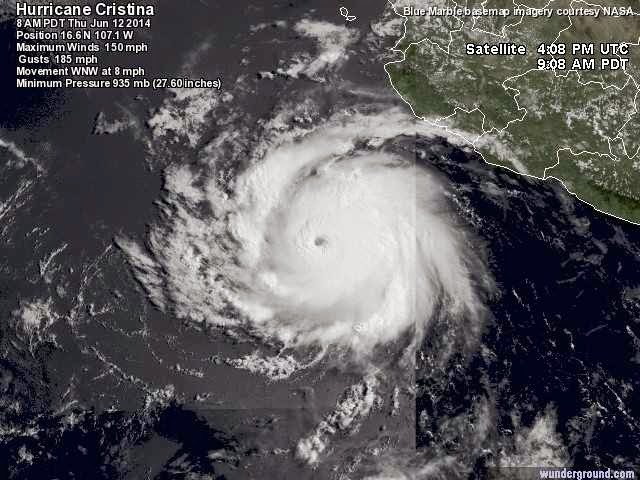 Hurricane Cristina walled off the dry air surrounding it and put on an impressive round of rapid intensification overnight, topping out as powerful Category 4 hurricane with 150 mph winds and a central pressure estimated at 935 mb at 11 am EDT Thursday. 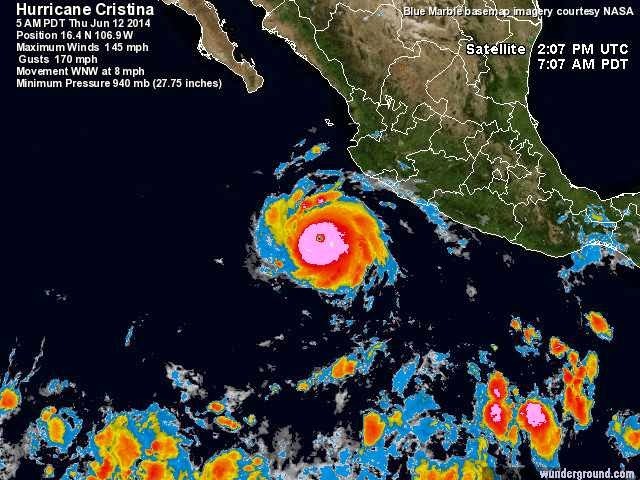 Cristina is the second hurricane this year to reach major hurricane strength in the Eastern Pacific, setting a record for the earliest date of formation for the season's second major hurricane. The previous record was a full thirteen days later in the season: June 25, 2010, when Hurricane Darby reached Category 3 strength. The other major hurricane this year in the Eastern Pacific was Hurricane Amanda, which peaked as a top-end Category 4 hurricane with 155 mph winds at 15 UTC (10 am EST) May 25, becoming the strongest May hurricane ever recorded in the Eastern Pacific. We were joking with Nahima last week about Cocodrilo's and instead of fear, she wanted to see one. All ready to go to La Manzanilla until we realized Euriel had never seen one and he was in school. Better Saturday. Didn't think Nahima would remember but she did. She talked about it so much Grandma overheard and wanted to visit her sister in La Manzanilla. 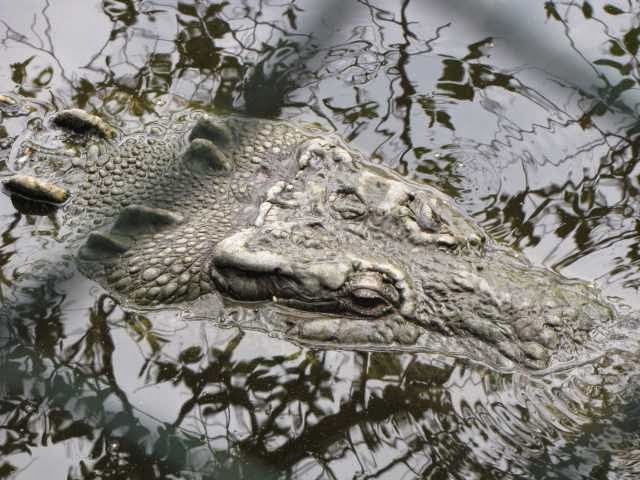 Sister warned us that it cost to see the Cocodrilo's and it does if you go out on the walkway. There is plenty to see right from the street. We didn't check the entrance fees but I'm sure we spent way more at the little tourists shops. Even got this Coco foto from the street. I'm sorry but this comes from the head of the DEA??? This is retarded Tea Party or Republican up for election thinking. Who appointed Michele Leonhart to such a position. You will not believe this. The USofA has gone to the dogs. I have too many Facebook friends posting discouraging USofA news and am gonna have to drop some of them before I go nuts. "Michele Leonhart, the head of the Drug Enforcement Administration, has a message for those considering legalizing marijuana: Please, think of Fido. "There was just an article last week, and it was on pets. It was about the unanticipated or unexpected consequences of this, and how veterinarians now are seeing dogs come in, their pets come in, and being treated because they've been exposed to marijuana," Leonhart said." I had so much luck with cherry tomatoes last year in these raised beds I had to try it again. Had to pull up and/or transplant a bunch of tropical ornamental plants but this is food that you can eat!! Everything I was growing in buckets made a fast start and then died like they dried up? Actually the green onions are growing in a bucket but are stunted. I brought another large bag of coco-peat and mixed it with my compost soil for about 3 inches of good soil turned in to last years dirt. I'm using that plastic screen over the beds to keep both dog and cat out. Dog like to excavate cool soil and the cat just using it for his bathroom. So lots of cherry tomatoes on either end, some pepinos (cucumber) in the middle and some green onions here and there. The pepper plant I bought at Home Depot and it's doing well. Last year the Carambola (Star Fruit) only had one fruit. Even that was not bad for a tree only a year and a half old. This year it looks like it may be over 100. There's 4 major branches full of fruit like this and 3-4 branches above filled with flowers. I may have to support some of them as the full branches droop way down. Now I have to get the girls to stop eating them green. Even with the little bit of yellow you see they are still very sour. The Neem (only one now) is in flower with lots of seeds ready to drop. Very aromatic with the many small white flowers. Before long I'll either be pulling up baby Neem or trying find places to plant them. 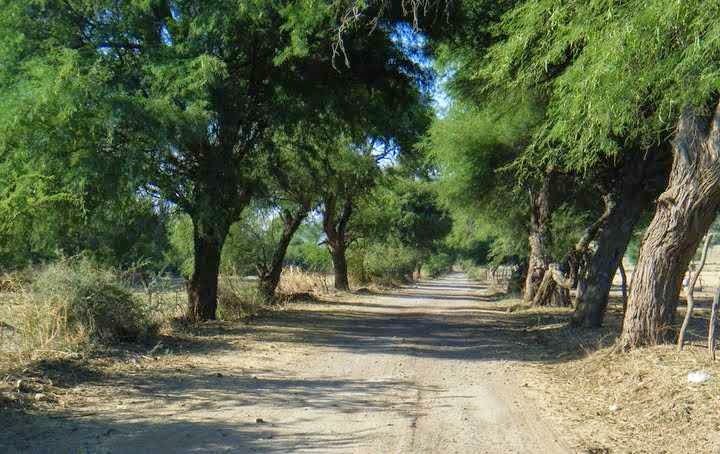 I had thought Neem to be rather exotic but actually it's everywhere in this area. Even one on the Melaque Plaza. Now if the Avocado and the Chico Zapote will produce just one fruit blossom. Both trees are healthy, same age as the Carambola but very slow to develop. .